National testing Service is conducting Written Tests of the educators. We will provide the answer keys of all the booklets. The books copies colors are yellow, blue, green, white and pink. 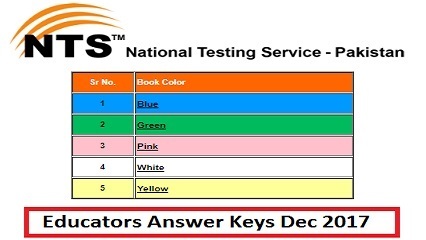 These NTS tests are being held on December 27, December 28 December 29 and December 30 2017. Write Your Question in Comment Box if you have any Problem. 2- ESE (Science) (BS-09) Master degree/BS (Honors) (16 years education) in Physics, Chemistry, Botany, Zoology, Biology and Mathematics. 4- SESE (Science)(BS-14) Master degree/BS (Honors) (16 years education) in (Physics, Chemistry, Botany, Zoology, Biology and Mathematics). 6- SESE (PET) (BS-14) MA/ MSc/BS (Honors) (16 years education) in (Sports Sciences/ Physical Education). 7- SESE (DM) (BS-14) Master Degree/BS (Honors) (16 years education)in Fine Arts. 8- SESE (Computer Science) (BS-14) MSc (Computer Science) / MCS / MIT/ MSc (IT), Master of Science (IT) /BS (Honors) (16 years education) in Computer Science/IT. 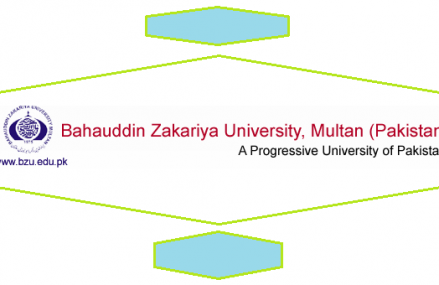 (BS-16) Master Degree/BS (Honors) (16 years education) in (Physics, Chemistry, Botany, Zoology, Biology and Mathematics). 11- SSE (Computer Science) (65-16) MSc (Computer Science) / MCS/ MIT/ MSc (IT), Master of Science (IT)/BS (Honors) (16 years education) in Computer Science/IT. 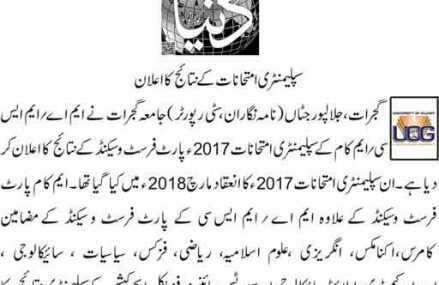 Kindly tell me m NY bps9 arts m apply kia but mra nam ni aya why?